Trek has gone back to the drawing board with its flagship Madone, and the result is rather special. There are fast bikes and there are fast bikes. Some bikes achieve speed through stiffness, others through set-up, and many new bikes rely on aerodynamic profiling to reduce drag. But with its new Madone, Trek has taken a more holistic approach, exploring every aspect of the build in order to create something that is fast in all situations. The result is a machine that is packed with innovations and bears little resemblance to the old Madone, or indeed any other bike on the market. 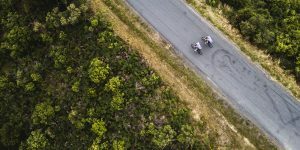 This new version is the latest iteration of a franchise that began more than a decade ago, at the height of Trek’s Tour de France success with American pro team US Postal. 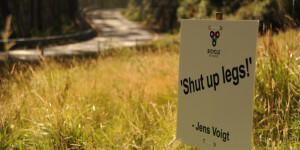 It was named after Lance Armstrong’s favourite training climb in the south of France, the Col de la Madone. 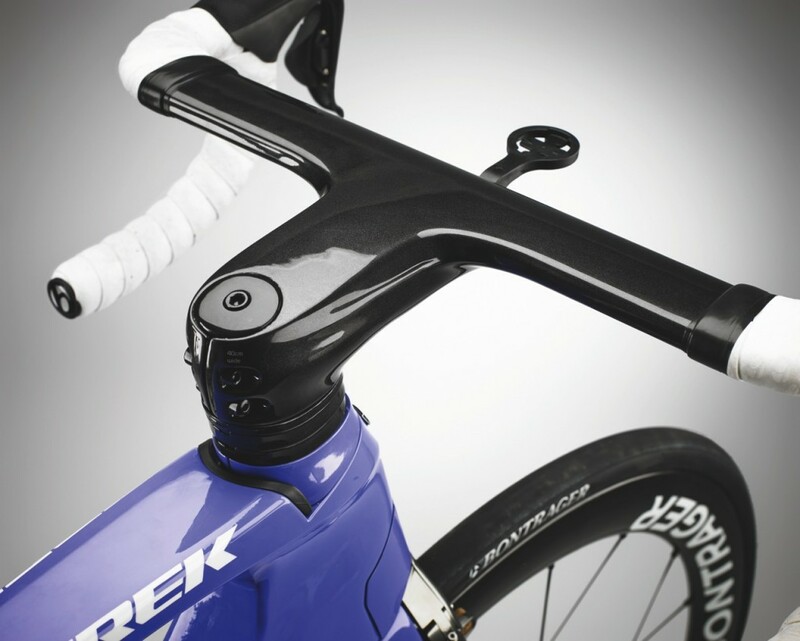 The design used to revolve around stiffness and low weight – only in 2012 did Trek look to aerodynamics. That version of the bike boasted modest aerodynamic curves and the frame came in at a slender 750g. With this new model Trek not only wanted a much more aero frame, but a more harmonious overall system. Nothing better embodies that focus on integration than the most distinctive part of the bike, the ‘Vector Wings’ – flaps on the sides of the head tube that open and close to allow space for the partly hidden front brake when the bars are turned. While the movement of the flaps doesn’t play any aerodynamic role (they only open significantly when cornering sharply at very low speeds), they speak of the obsessive attention to detail employed at the front end, with every cable removed from view. By hiding the cables, the Madone makes aerodynamic gains significant enough to afford widening the head tube, which has also played a part in increasing the stiffness of the front end and consequently improving handling. Equally intriguing is the junction of the seat tube and top tube. 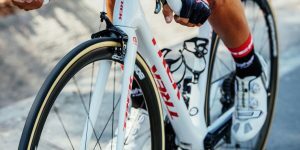 The new Madone has incorporated an IsoSpeed decoupler, as seen on the Trek Domane endurance bike, and it’s a technical feature that few would expect to see on an aerodynamic bike. It’s a complicated set-up (see overleaf), but it basically means the seatpost can flex backwards and forwards freely without affecting the stiffness of the rest of the frame. The idea is that the ride should be both fast and comfortable, and it works, with the saddle deflecting significantly under vertical force. The rest of the tube shaping is aimed at slicing through the wind efficiently, and Trek claims its tests indicate that the Madone is the most aerodynamic road bike on the market. Admittedly, most bike manufacturers claim the same accolade, but as soon as I took a ride on the Madone, the wind-tunnel data became irrelevant. The Trek Madone is the fastest road bike I’ve ever ridden. Faster, I’d say, than the Cervélo S5, Canyon Aeroad, Specialized Venge and the Pinarello Dogma F8. While each is an excellent bike, the Madone is simply faster. 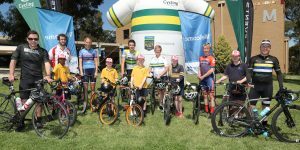 It’s easy to assess a bike purely in terms of straight-line speed or acceleration. 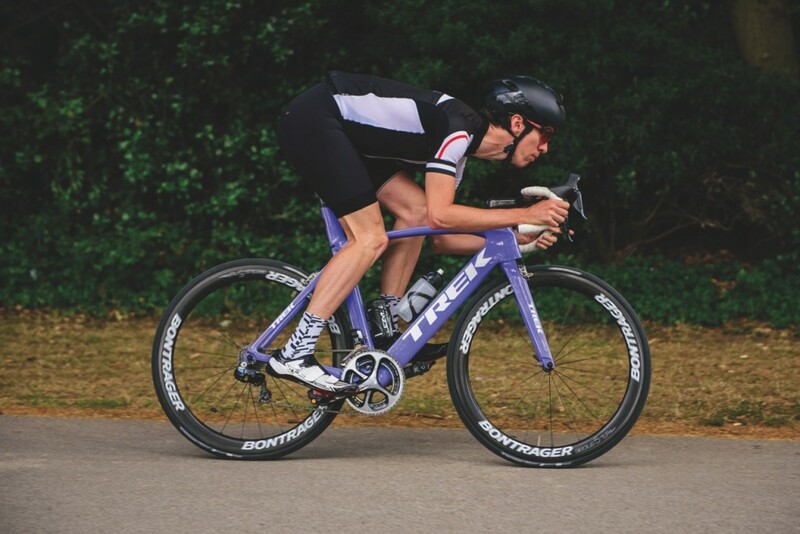 Aero bikes are often exceptional in terms of straight-line speed, but less impressive at accelerating, owing to the extra weight aero tubes bring with them. In terms of straight-line, flat-out speed, the Madone performs extremely well – it just glides, holding its pace easily – but it’s every bit as good at accelerating too. It’s the type of bike that had me constantly grabbing the drops and standing up on the pedals to see how much more speed I could squeeze out of it, as unpopular as that made me with my Sunday morning riding gang. That responsiveness translated into great climbing performance too, where the lively feel of the bike, along with its 7kg weight, had me floating up inclines. But while straightforward speed is a key part of the allure of the Madone, it’s the rest of the cycling equation where Trek has really distanced the competition. 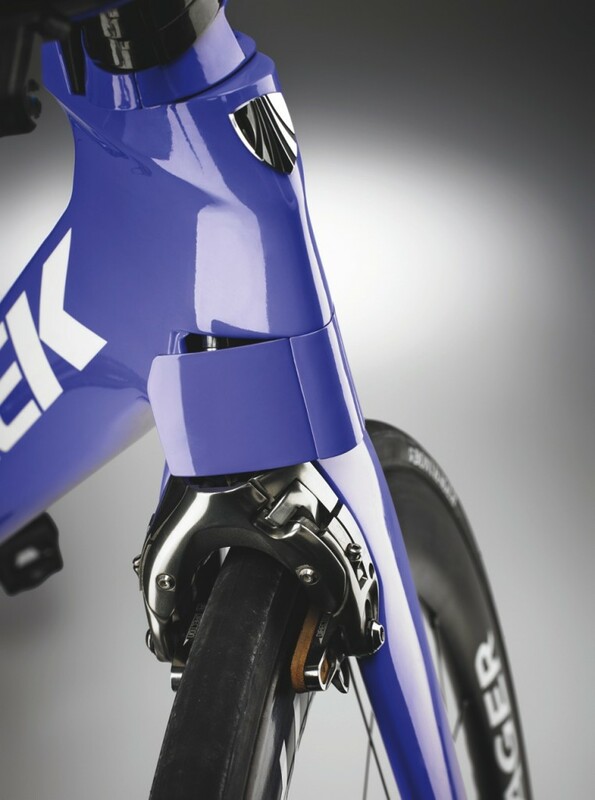 During the development process, Trek rigged up a rider and bike with 14 strain gauges and three tri-axial accelerometers to create its ‘cornering finite element model’. Put simply, it measured the forces acting on the frame in corners. Trek believes the Madone now mirrors exactly its super-lightweight Émonda frame when it comes to cornering and compliance. 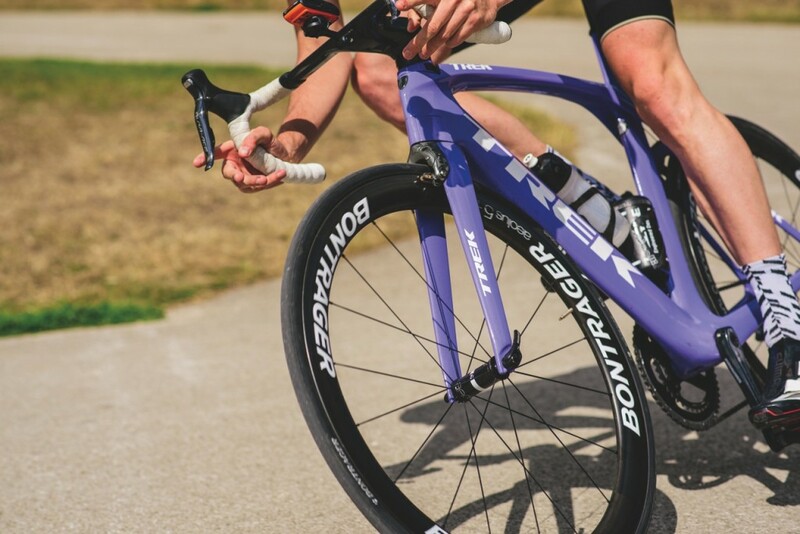 It’s a grand claim, as often the sharp and elongated tube sections of aero frames diminish the feel of the bike in corners, as well as the accuracy of the handling. 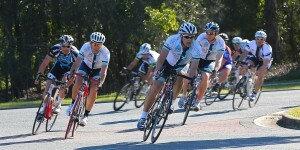 Yet the Madone does corner fantastically well. 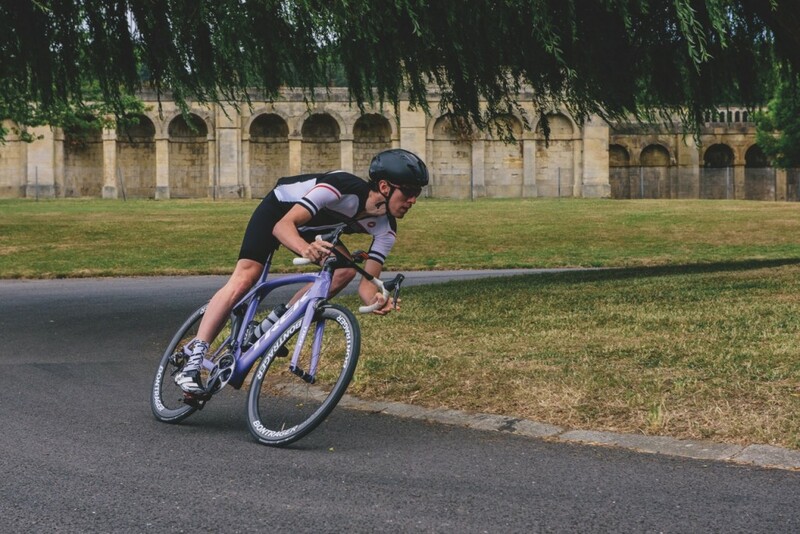 It mixes handling accuracy with an abundance of feedback and general stability, meaning I was happy to take descents and tight hairpin corners at speed, pushing the Bontrager R4 tyres to the limit. 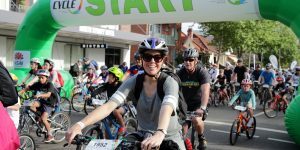 With its blend of speed, handling and comfort, it may seem that Trek has created the perfect bike, but there are a few niggles. The Vector Wings, for instance, can get caught if you use the brakes while the flaps are wide open (admittedly only during very low-speed manoeuvres). Then there are the restrictions of the cockpit – the bars aren’t interchangeable with any other model, due to the complex internal routing. I rather liked the ergonomics, but some others may not. The brakes could also become frustrating over time. They are centre-pull, yet direct mount, which can mean small adjustments are fiddly. It’s also hard to know how durable all the little flaps and panels will be and, while I didn’t give it a go, I imagine replacing cables is a nightmare. None of these things diminish what Trek has achieved, however. Many of the bikes that come through the Cyclist office are impressive, many exceptional, but the Trek Madone 9 Series is one of the few that will go down as a game changer. Yes, it is expensive, and it has a striking aesthetic that may jar with some bike purists, but it is an imaginative and highly functional leap forward in terms of engineering and design. 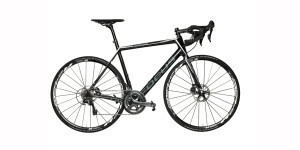 If you want to go fast, there has never been a better road bike on which to do it. The Madone’s Vector Wings aren’t intended to shield the brakes aerodynamically, but instead they are necessary for the Madone to comply with US safety regulations on the range of fork movement, while keeping the brake mechanism within the head tube. The Madone employs unprecedented integration, with all cabling for brakes and gearing internally routed through the handlebars and down into the head tube, and a neat port on the down tube to hide the Di2 junction box. The same integration is also achievable with a mechanical gearing set-up. The front and rear brakes are both of Trek’s own design, partly as this means it can use a centred wire cable to optimise aerodynamics. Some have suggested the brake system, being centre-pull, is weaker than the Dura-Ace alternative, but we found no issues in braking even on challenging descents. The Madone has a second, internal seat tube that runs inside the external one. 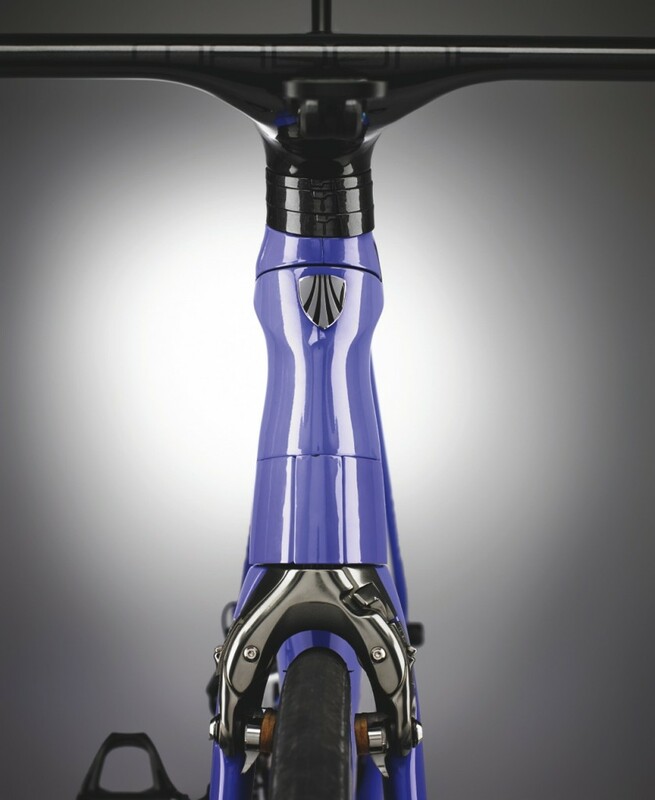 That internal seat tube supports the weight of the rider and allows flex to aid comfort. The outer seat tube is much stiffer, ensuring that the rear of the frame doesn’t lose energy to flex during all-out efforts. The IsoSpeed decoupler shown here acts like a pivot, linking that inner seat tube to the outer seat tube and top tube. 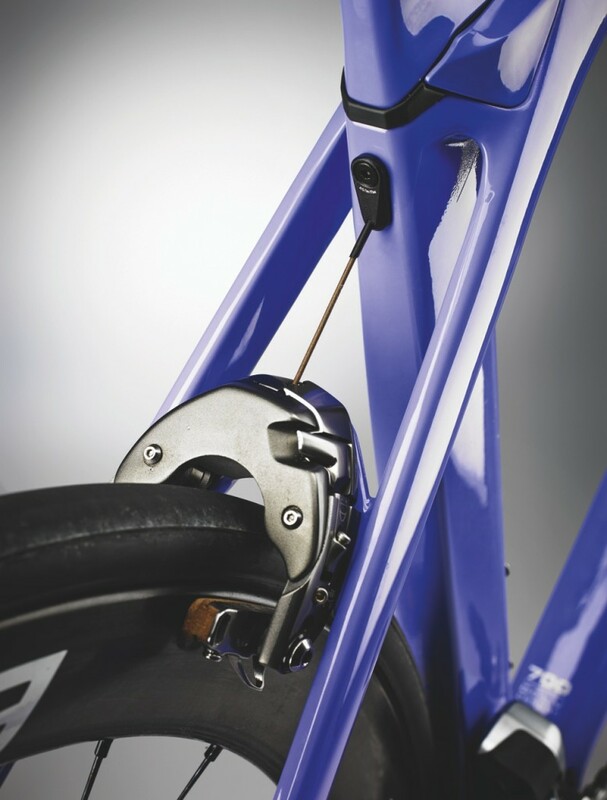 The seat tube that protrudes above the top tube is the continuation of the internal seat tube, and is linked to the lower part of the external seat tube only by the decoupler. 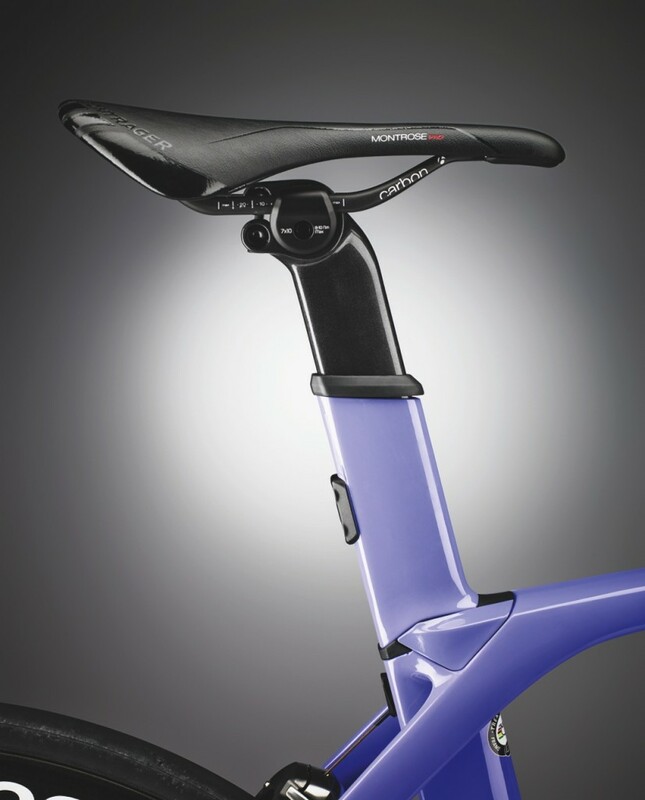 Into that sits the seatmast – effectively the third individual part in the system – onto which the seat is mounted.